Rich and creamy gel liner glides on smooth without smearing or smudging for long lasting, all day wear. Professional fine eyeliner brush expertly defines eyes to create that ideal smoky or dramatic look effortlessly. This is the first gel eyeliner that I've ever tried and I am thoroughly impressed with the product. Applying it is just so effortless and it stays on all day. It's also quite pigmented so a little goes a long way - which means the little tub will last pretty long. The liner comes with a brush as well which is very helpful, though I only wish the brush was a bit thinner. This product retails for R59.95 at Dischem which the cheapskate in me really appreciates ? Okay so i must admit i was a little over excited and impressed just looking at this packaging. I mean how gorg is this? It comes with a little applicator brush which makes getting that winged tip perfect that much more easier. the liner its self is gel based so it doesn't really last that long but gives you that"instagram winged look" if that makes any sense. This is a new item to my make up collection and I have been loving it since I bought it. It's a gorgeous pigmented gel liner that applies so easily and effortlessly that it makes you feel like a pro when doing your eyeliner. It includes a small brush to assist with applications this can be used to create thick or thin lines and even gives a smooth precisioned winged eye. I am very impressed with the product and it was a bargain at dischem .R59.95. Not sure if it was a sale because I have seen it previously for much more than that. The LA Girl Gel Liner and brush set is perfect for those of us that aren't that great with liquid liner! Since switching over to this gel liner, I am confident in my creation of clean lines, cat eyes and winged lines of every kind! This gel goes on smoothly and accurately with the included brush and has real staying power. I find that my liner is still in place at the end of a day, looking as fresh as it did in the morning! 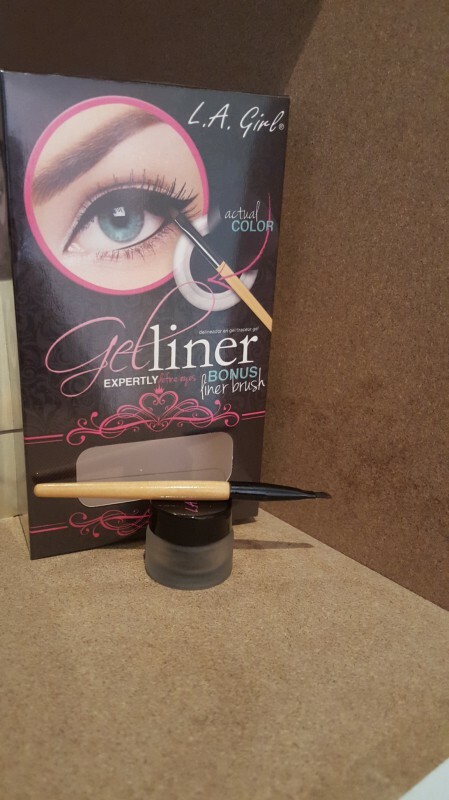 No turning back from this gel liner and its very competitive pricing! I recently bought this product when Dischem was having a 3 for 2 sale on their L.A. Girl products. The packaging looked quite low end - like something you would find at a Chinese store. I bought it anyway because their other products work really well and are quite affordable. At first, I thought that the container was quite small. The brush is a great addition even though it's not as thin as I would like it to be. After the first application I found that it was very pigmented, so the small tube will definitely last a while. It goes on really smooth and does not smudge. It also applies well over eyeshadow and dries to a matte finish. It is absolutely perfect for a winged eye/cat eye look as it stays put and lasts the whole day. This is also a great dupe for many high-end brands. It's a definite must! I purchased this gel liner a while back in the shade very black.It is a very affordable gel liner and it came with a really cute brush which was an added bonus.The formula is creamy but it tends to drag on my skin when i apply it but with time i got used to it.I love that it dried to a matte finish and looked amazing although it was not an intense black that i was hoping for.The brush that it comes with is really good , it allows you to create a really fine line or even a thick line if you are going for a dramatic yet bold look.After a while i found that the gel gets a bit dry so make sure to keep the lid sealed tightly. I definitely don’t have a steady hand for liquid liner, and I am sure of it, especially when I “attempt” to apply liquid liner. I’ve heard people rave about the LA Girl Gel liner, as well as label it a dupe for an expensive professional gel eyeliner. 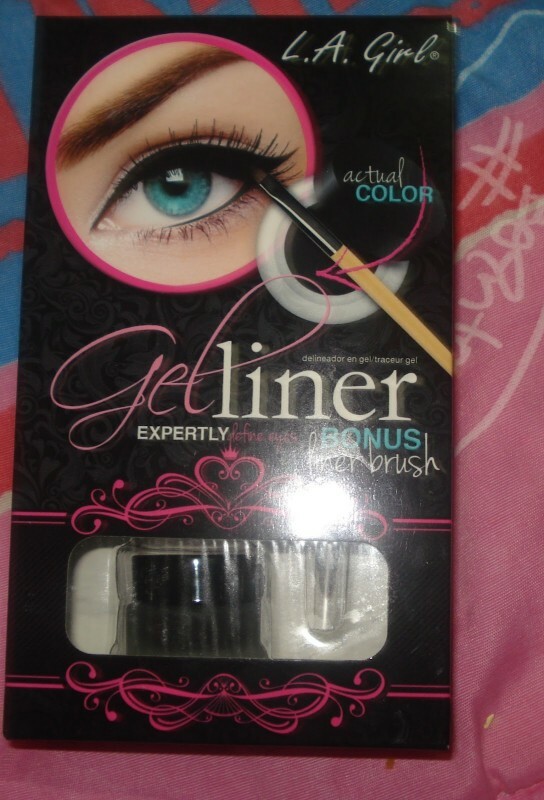 Despite me visiting many Dis-Chem stores, I could never get my hands on this eyeliner because it was always out of stock, but once my favorite gel eyeliner got discontinued, I hunted for this L.A. girl gel liner. Lucky me, I eventually found it, and I’ve never turned back. I love the brush, as the brush is the most important to me, because you can only achieve the perfect gel line by using the perfect brush, as it makes drawing a gel line easier. I battle a little with angled eyeliner brushes, which made this brush much more lovable towards my perfect gel line. 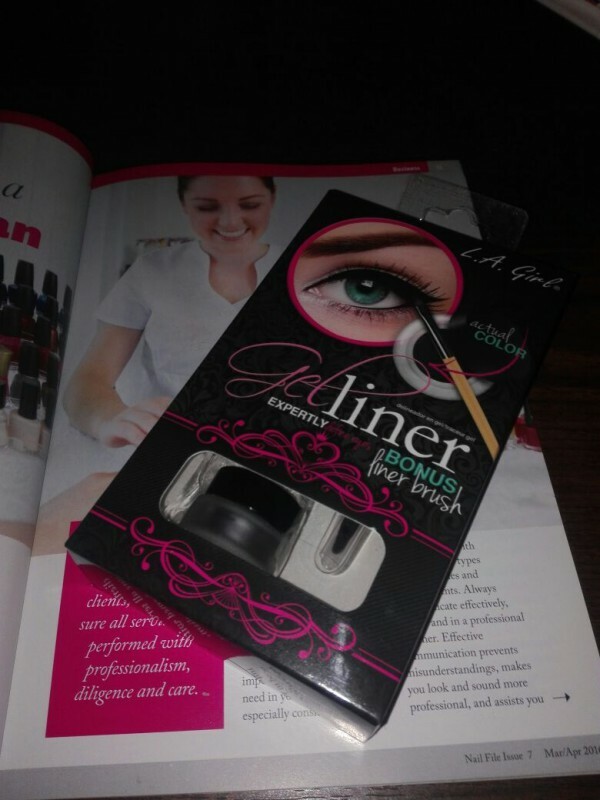 The actual eyeliner has a silky smooth texture which glides on so perfectly, but once the gel eyeliner dries, it doesn’t budge and stays true black until it’s time to remove, so no fading or smudging at all. Plus, it’s quite affordable, so if you’re looking for a good quality gel eyeliner at the fraction of the price, this is for you. Recently bought this in Dischem and I have got to say - its a great product for the price. The brush that comes with the liner makes it really easy to apply. I've found that if I do not put the product on thick enough it does tend to fade so I always make sure to apply it nice and thickly.